… this time in the home cockpit. I’ve not tried this much lately as I’ve been trying to focus on instrument rating practice in the sim. And when I have tried, the sim has crashed. But today we made it from virtual Portland to virtual Teri Cities and enjoyed some virtual IMC along the way. PilotEdge founder Keith Smith was also in the chat room most of the flight, and we discuss the merits of PE for instrument training at some length. As always, thanks for watching. 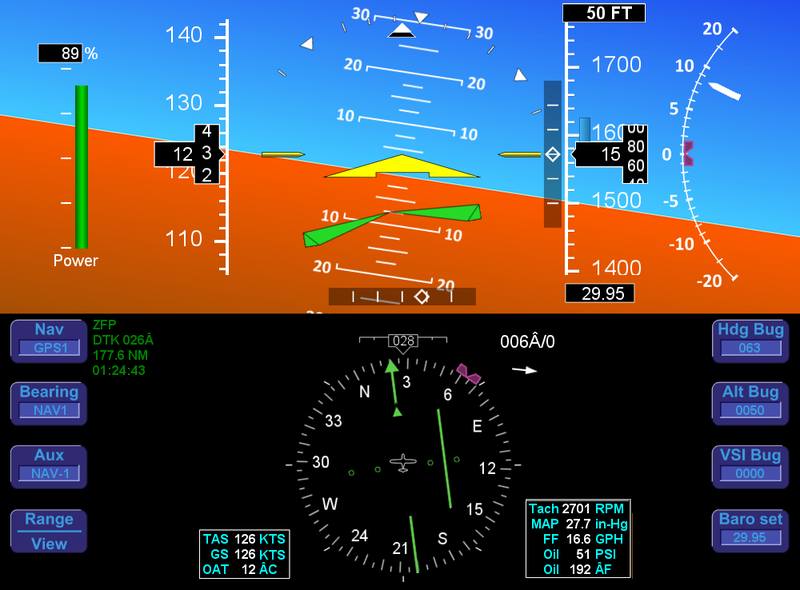 I came across a new X-Plane configuration utility yesterday: FlyAgi. There are now more than a few utilities that allow an X-Plane user to modify settings in the interest of visual preference and frame-rate performance. Most recently I have been using VMI-TwickVR, which for me was very helpful, but having read the reviews of FlyAgi I decided to give it a shot. I like it very much – the user interface is straight-forward, and its auto-level-of-detail and “fast clouds” functions, combined with being able to easily turn off X-Plane’s dynamic water effects, gave me excellent frame rate performance yesterday. 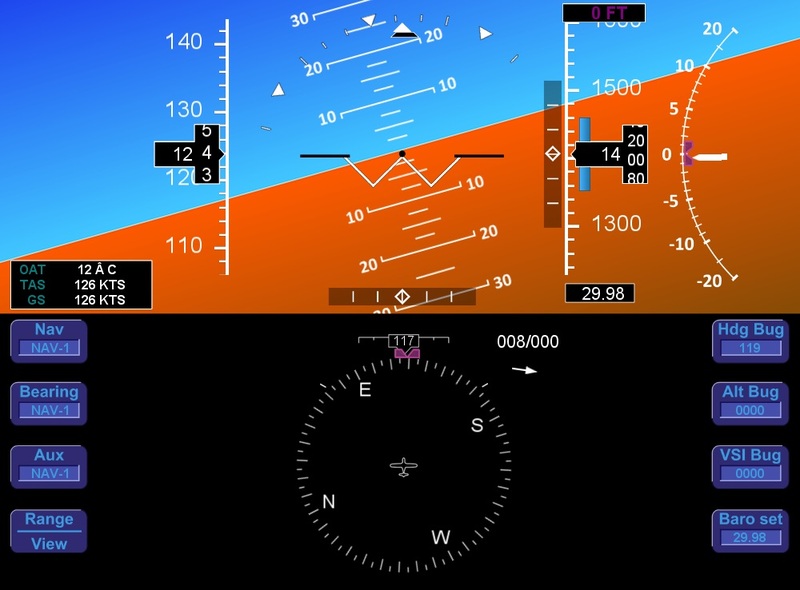 You are also able to change shadow and atmospheric settings on-the-fly without reloading the sim. I’ll keep using it and you may want to check it out. Note that FlyWithLua Next Generation is required for this utility to work. Finally, I did get into the virtual air with the new VirtualFly Yoko “The Yoke” PLUS yesterday. First reaction is: WOW, what a GREAT yoke. The resolution is amazing, and you can truly fly with your fingertips (as in the real world). I will post a thorough review after spending more time with it, but it’s a great piece of gear and an improvement on the already excellent original. The very nice folks at VirtualFly have recently sent me their new Yoko “The Yoke” PLUS for testing. I took it out of the box today, and here are my initial reactions. The short story: like the original Yoko Yoke, this is a product of superior build quality. I hope to have it in the sim this weekend at which point I will post a more complete review. 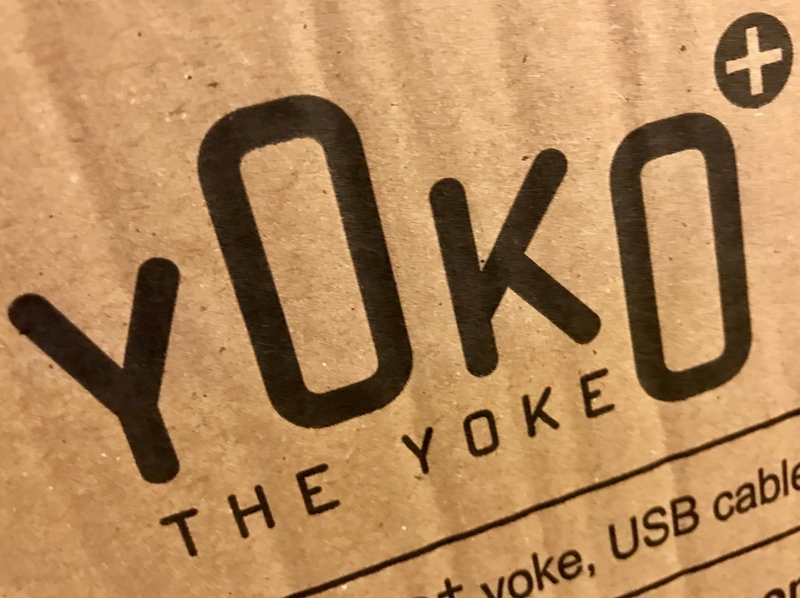 The Yoko Yoke PLUS product page is here. 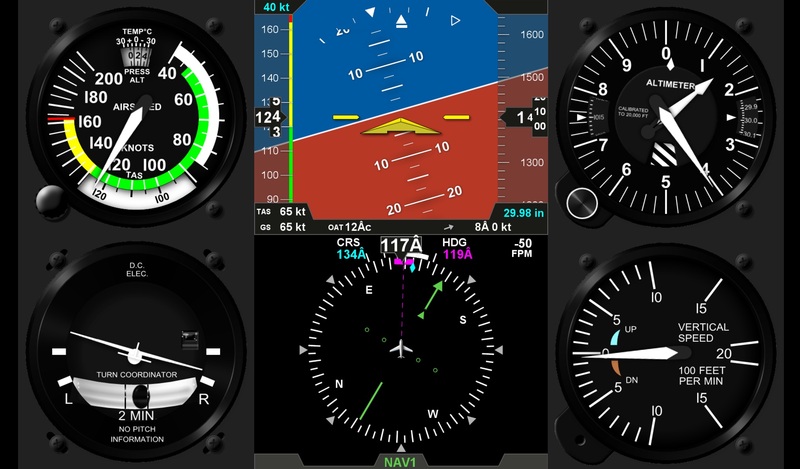 Air Manager from Sim Innovations is a great product that lets you design custom flight simulator panels for display on PC, Mac, Android, and iPad screens. I’ve used the iPad version for some time to display panels for some of the aircraft in the sim, and it works very well. My complaint has been that the iPad version is limited to the instruments available in their instrument store. There are over 500 of them, and nearly all of them are free to use, but they don’t all match the airplane I’m using or my panel, which is black. As a result, over the past two weeks I have paid for and have been working with the desktop version of Air Manager. It’s much more powerful that the mobile version, and lets you customize instruments. Doing so means being good with PhotoShop (or good enough), but more important, means knowing your way around basic Lua code and scripts — and that is something I barely understand. That was an easy modification. I just changed the light settings on the backgrounds for the steam gauges so they were grey/black. I’ve moved the left data block down below where it is in the real plane, and added the engine data block on the other side. That scripting was all straightforward. More complicated (at least to figure out, as the code is simple) was the data block for the GPS data. I had to figure out how to have it display the full name of the next waypoint, and found some clever code to convert the time enroute estimate to hours:minutes:seconds. And finally yesterday I was able to create the power percentage at top left. X-Plane has a dataref for total power for the airplane in watts, and another for current power in watts. Some math created the power percentage, and it seems to accurately change with mixture and altitude. Given that all Cirrus power settings are in percentages, this data block was important for the panel to work well for my IFR training. There is more to do, but this is a great start and I hope to keep working on it, and at some point I will upload it to the Air Manager store so others can use it. In terms of running these panels, I can’t do it on the iPad as the iPad player is limited to instruments in the store. So I pulled out an older Microsoft Surface I have, cleaned it up and updated its Windows, and installed on it Sim Innovations Air Player software. 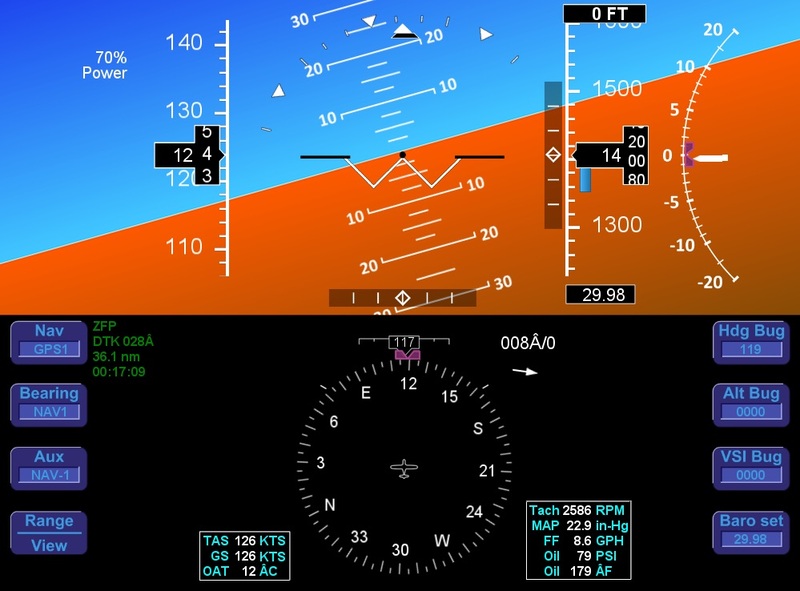 This lets me send any panel I create in Air Manager to the Surface where it can talk to X-Plane. I’ll now be mounting that Surface where the iPad used to be in my panel. I’ll post and update when it’s up and running, but so far the tests look great. I made the decision earlier this week to do my IFR training in this SR-20. I had a flight in it last month, and another this week, and while it is more expensive per hour than the other airplanes I’ve been flying I believe it’s the right platform for me long term. 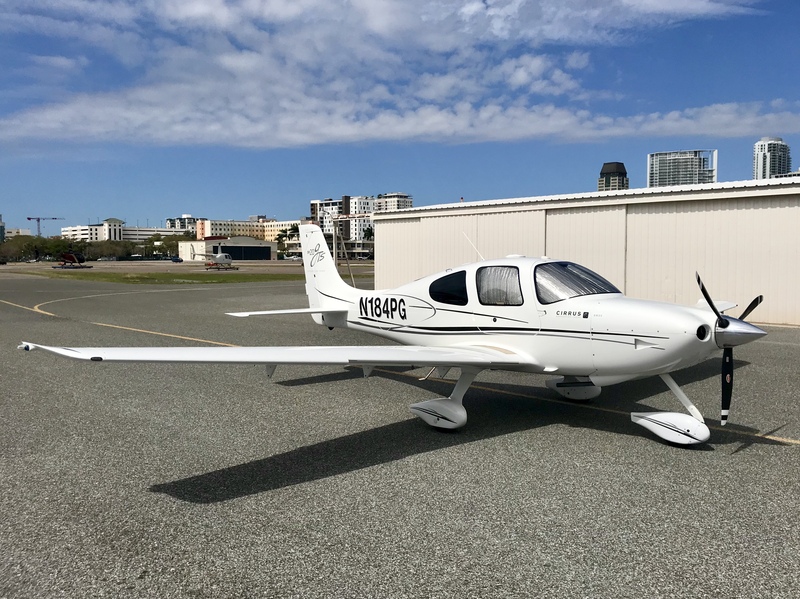 As I’ve done more research on Cirrus I’ve been particularly impressed with the focus on safety and the very strong pilot community, embodied by COPA, the association for Cirrus pilots and owners. 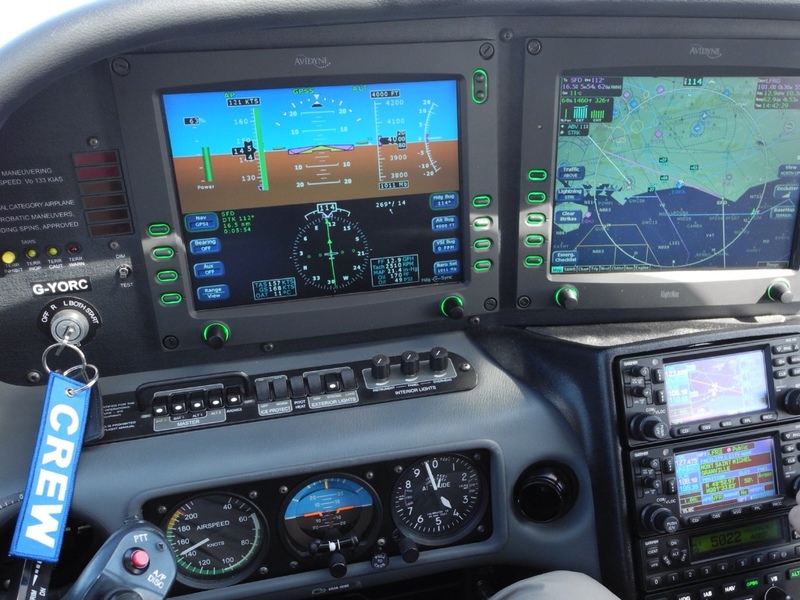 I’ve joined it, and have already learned a lot about general aviation just from reading its forums. I also very much like the tone of that community: everyone uses their real names, the disagreements are extremely civil, and folks are beyond helpful. COPA also runs a series of proficiency programs, called CPPP’s, several times a year that include flight and ground schools and can count as FAA Wings training credit. There’s one in Lakeland, FL next weekend and I’ve enrolled in the ground school. I’m really looking forward to it. Finally, I’ve configured the sim to model an SR-20 using Jason Chandler’s Cirrus package. I find the flight model excellent, and you get both SR-20s and SR-22s in the package. I tried the vFlyte SR-20 but it was difficult to remove cockpit objects so they weren’t visible in my monitors. That vFlyte package would be better for VR use, though. Air Manager for iPad has a basic Avidyne panel (which the SR-20 I’ll be flying uses) that I can run in the sim. It works well, but lacks a lot of the data the real thing presents, so this weekend I’ll be looking into building my own via the Air Manager desktop app. I’ll keep you posted on that experiment. A few years back I posted a LUA script I had modified for increasing the speed with which a rotary encoder can change something like a heading bug in X-Plane. While you can assign a rotary encoder — either one you place in your sim or maybe one of the dials on a Saitek FIP — to change a heading bug by having it send a keyboard stroke to the simulator, that process moves the bug very very slowly, and this old script speeded that up. Last week I noticed that the script I used to change my OBS via a rotary encoder was no longer working in FlyWithLua. In trying to find the source of the error I found new posts in this post at the .ORG in which Adamo posted a link to a .ZIP file which has improved scripts for a variety of different bugs you might want to sent via an encoder: Heading, Airspeed, Altitude, VClimb/Descent, OBS, etc. They work GREAT, and are worth downloading if you want this functionality in your sim. The link to the .ZIP file is about half-way down the thread. I wrote a few days back about my struggles with the 11.3 beta series of X-Plane, with the primary issue being repeated crashes and inconsistent device (e.g. FIPs via SPAD.neXt) performance. Since that time I updated the power plan of my PC (which for some reason had reset to a default setting) and updated X-Plane to the 11.32 release candidate, and suddenly, to my great surprise, I am experiencing simulation bliss. Performance is good — 30 to 60 fps using a frame-limiting plugin (not 3jFPS but another one which slips my mind at the moment) — smooth, and more important, no crashes and no wonky device performance. SPAD.neXt is working great, Air Manager is working great, the Flight Illusion stack is working great, and the RealSimGear 430 is working great. It’s blissful. More important, with PilotEdge I have now had two very helpful simulated-IFR training flights to augment my real-world IFR training. I’m happy as can be. I don’t know what did the trick, perhaps it was the release of 11.32, but I’m not asking why. I’m just enjoying the sim. Also, for those who have asked about my preference of VR vs. the physical sim cockpit, my thinking is as I had suspected it would be a few months back: while VR feels much more like flying and is a much better experience in terms of sight pictures, the fluidity of being airborne, etc., I have no doubt that I will be using the physical cockpit as my first choice for IFR training at home. Being able to use the GNS 430 (just as in the real-world), manage charts, etc. is, at least so far, a better training experience for me and just more like what I do in the real airplane. I’ll post more about this as my training continues and my thinking evolves, but so far that’s how it’s shaping up.